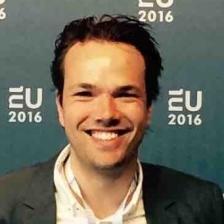 Tamas Erkelens is a Program Manager of Data Innovation at the Municipality of Amsterdam, aiming to add public value using data as a strategic asset. In Amsterdam, the European Capital of Innovation 2016-2017, protecting digital rights of the citizens are key to the digital strategy. Through the Amsterdam Data Exchange businesses, government and academics aim to make the most out of their (shared) data. Previously, Tamas – graduated with honors as Research Master of Quantitative Social Sciences – has worked for ING as Product Owner. With a background in academia and the private sector, he aims to open Amsterdam solving urban challenges. Tamas Erkelens is in his spare time a co-founder of Data Mission, a foundation connecting big data analysts to Mission driven organizations.